Welcome to the Ribarica, small peaceful village in central Adriatic, situated at the bottom of the largest Croatian mountain, Velebit. 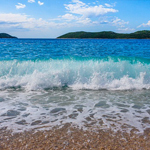 We offer you a holiday without noise, swimming in the beautiful clear sea and enjoying the fresh air and warm sun. 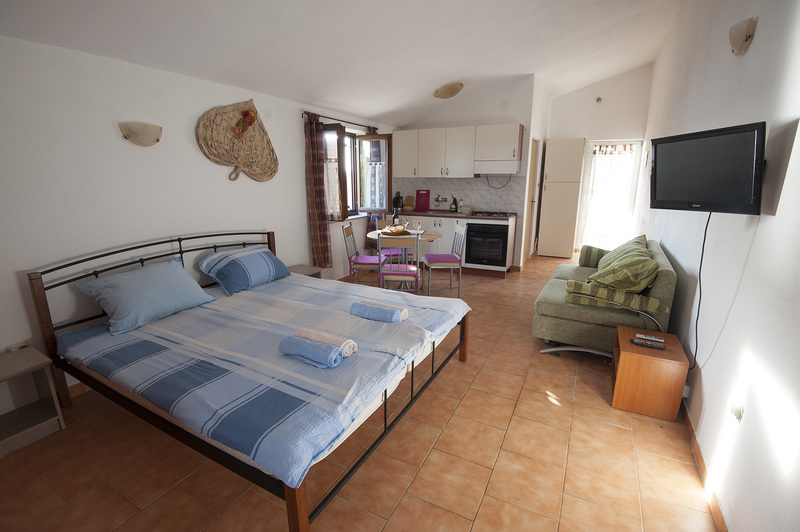 Cles to the sea and the wild beaches, fenced yard with a large parking area, a large terrace overlooking the sea and the Velebit mountain is only a part of what we offer. 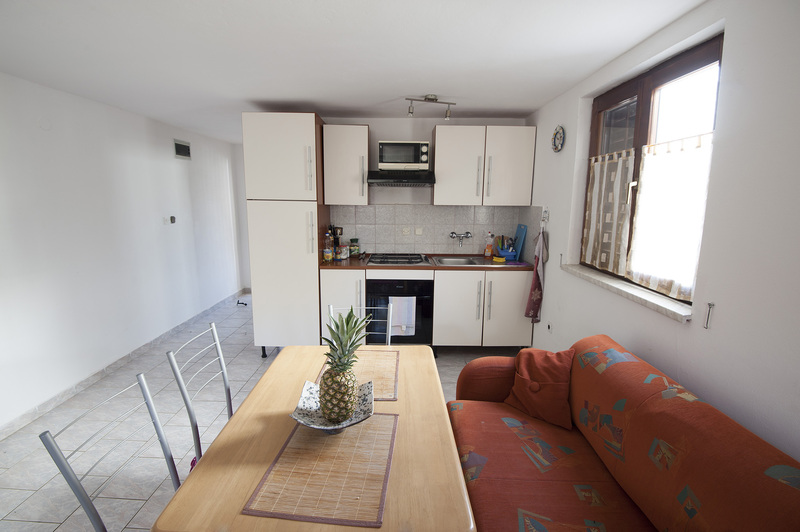 Studio apartments are well equipped with new furniture and appliances. 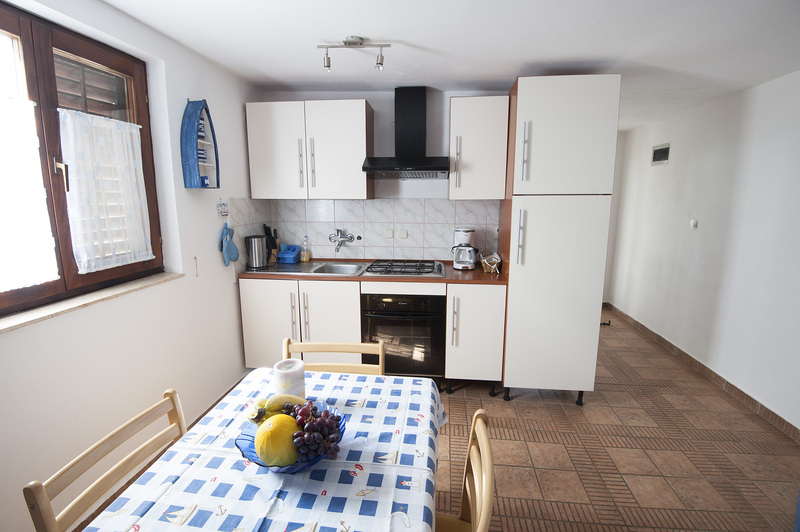 We offer free-internet, satellite and TV, trips to the beautiful nature parks, mountaineering , local culinary specialties and everything else that can make your stay in Croatia more pleasant. 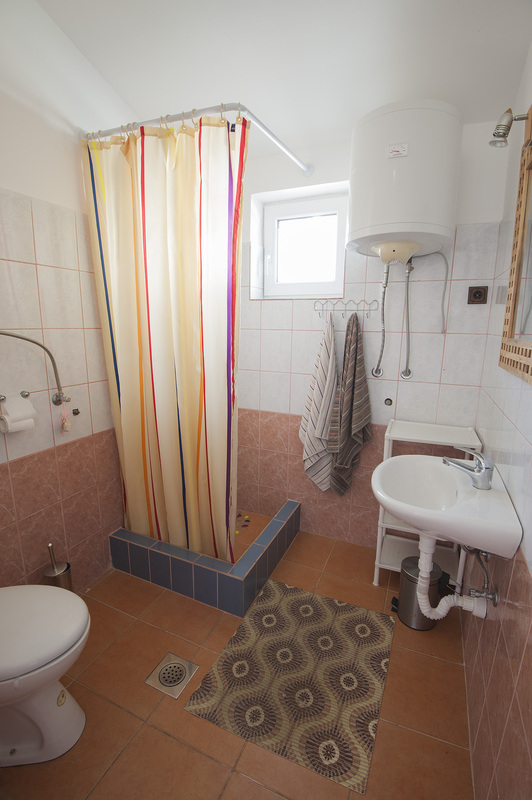 The house consists of 4 studio-apartments, two upstairs and two downstairs. 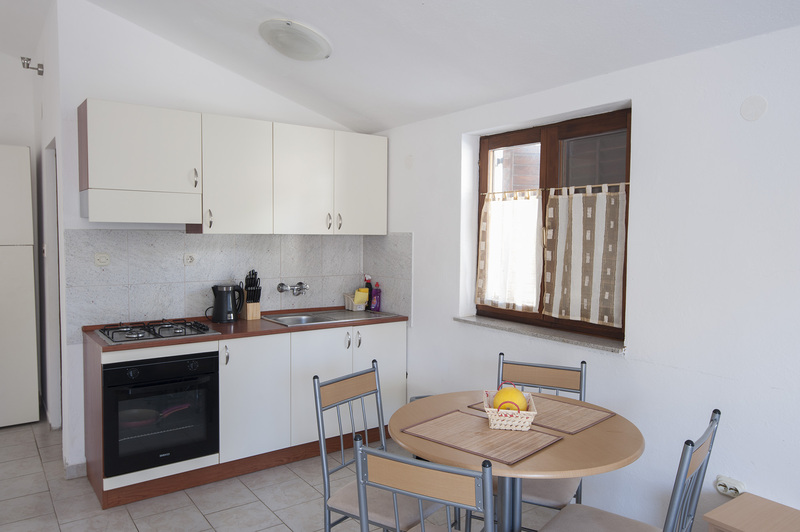 All apartments are exactly the same size (32 m2) and consist of one larger room with modern kitchen, gas stove, electric oven, large fridge and small freezer. There is also a dining table with four chairs. 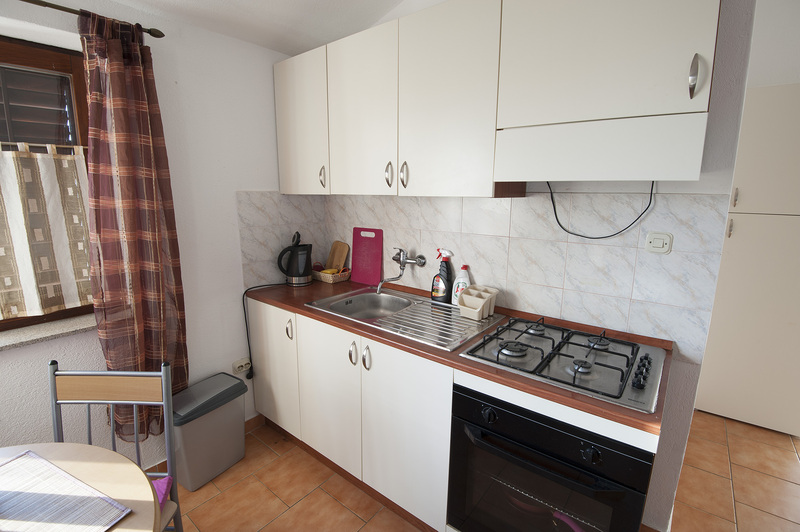 The kitchen is equipped with all dishes and equipment necessary for cooking and eating. At the other end of the room is a large double bed (200x180) with high quality mattresses and a large triple closet for your wardrobe, solid and good quality sofa that extends in additional bed with matress and enough room for two adults to sleep. If necessary, we can add another bed. Air conditioning and a TV are in every apartment.There are also some blankets for possibly colder nights. The optimum number of persons per apartment is two adults and two children. In peak season we do not accept more because of comfort of other guests. 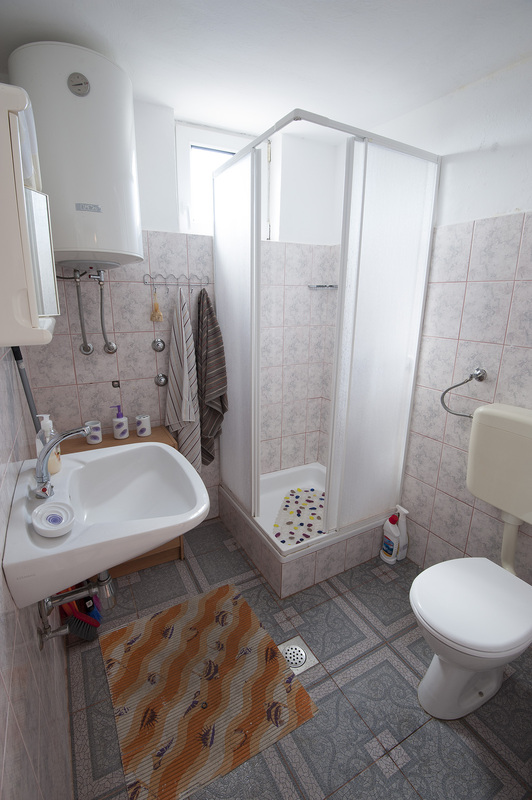 Bathroom with toilet is a separate room equipped with a shower, sink and toilet bowl and its auxiliary equipment. 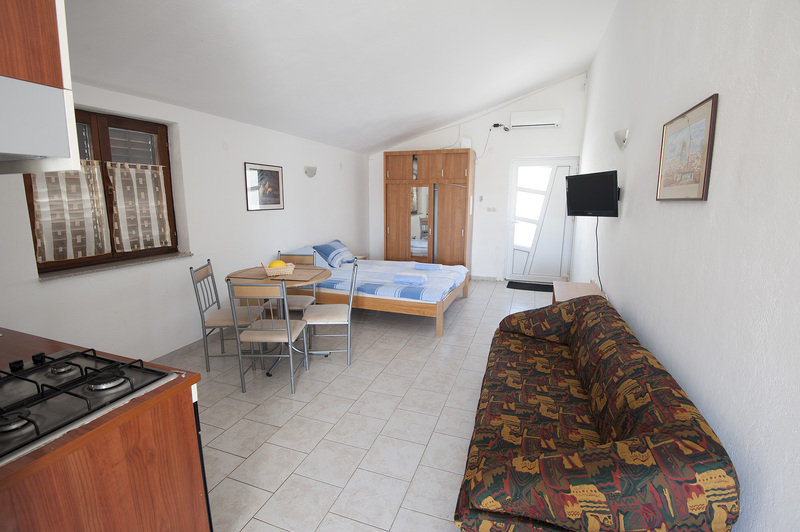 Each studio apartment has its own entrance and exit to the terrace. 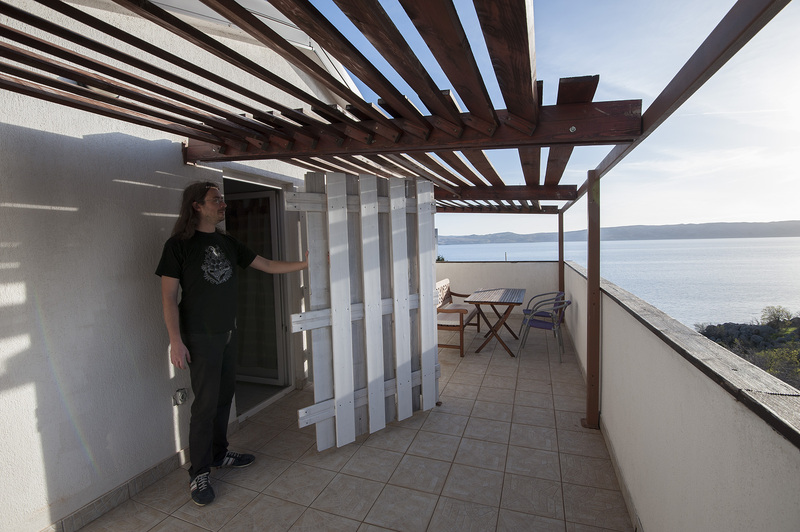 Terraces are each the size of 8x3 m, so that everyone has the 4x3 m or if you are staying with friends, you can use it all. Lower terrace is covered with upper terrace, and we are covering upper terrace with light wooden construction for shade. On terasma are garden furniture for sitting and eating. 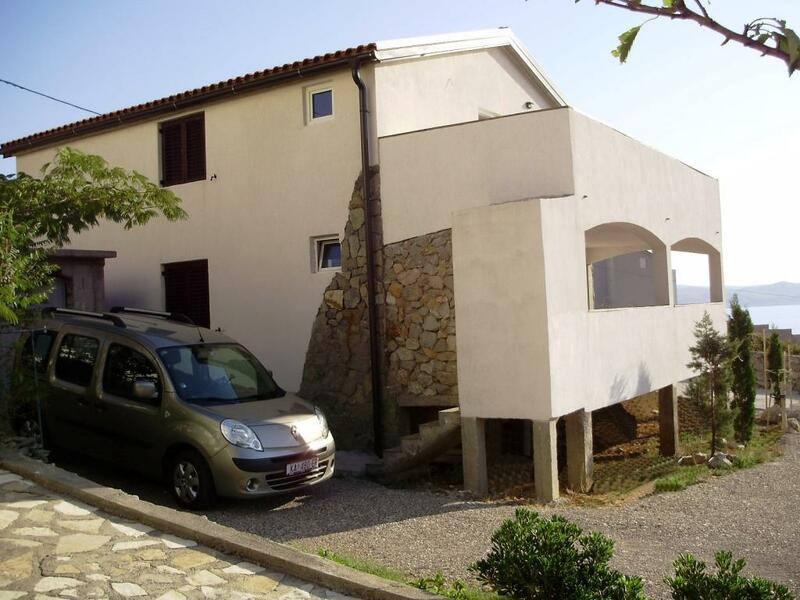 The yard is flat, large and fenced with stone wall so that your children and your car are safe. In a small courtyard to the entrance there is a grill and plenty of room to enjoy it. Our steps guide you from the house to a small hidden beach. There is an asphalt road to the larger beach. Close is a quality restaurant. We can recommend quality trips for hikers, climbers, adrenaline junkies and lovers of nature and culture. 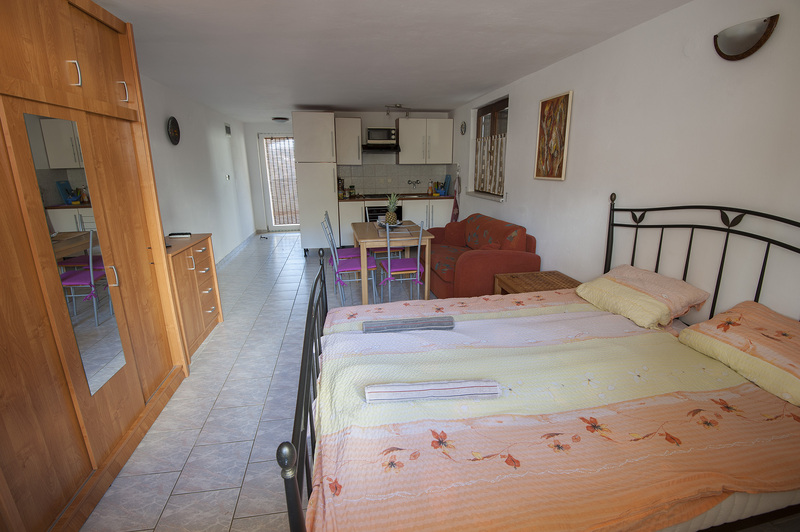 The price for each apartment is in season 50 euros regardless of the number of persons. Local taxes included. 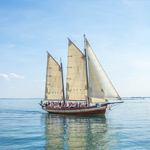 If you less than 5 days the price increases 30% and is 60 euros per person. Using the air conditioner is 5 euros per day of use so you do not pay if you do not use. 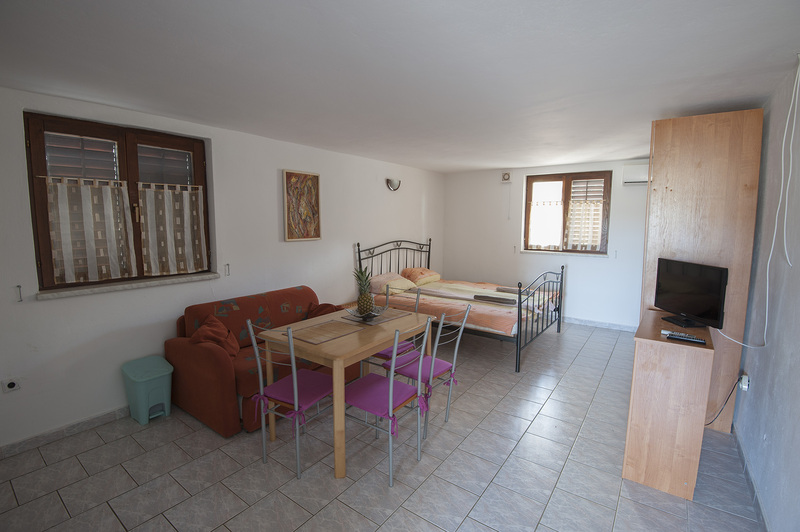 For a dog in the apartment we charge 5 € / night for the need to increase cleaning and disinfection. 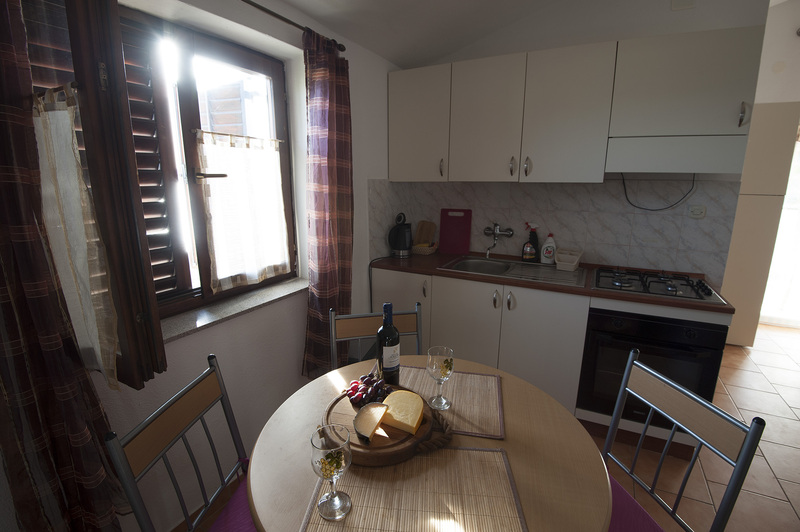 Booking payment is made to our bank account in the amount of EUR 100 per apartment. The rest is paid upon arrival at the residence registration.